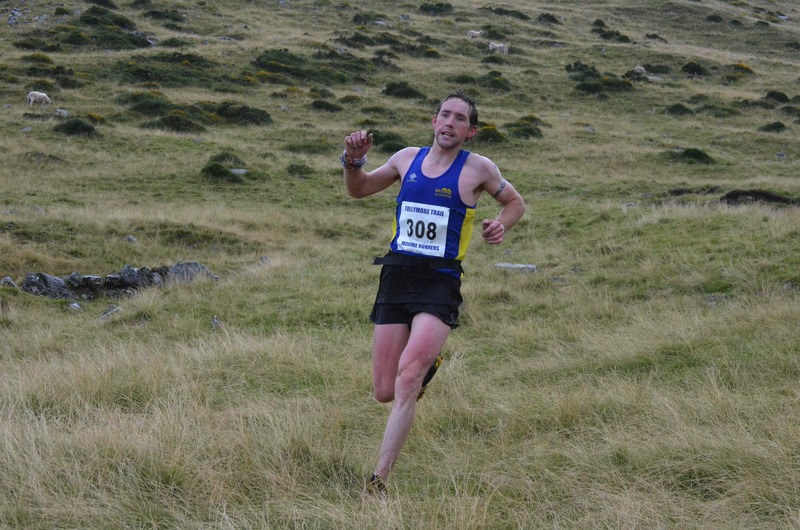 The Mourne Runners hosted the Bearnagh race on Saturday August 23rd. 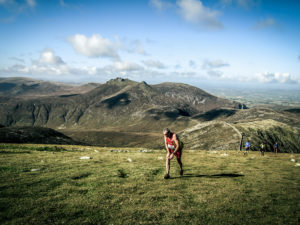 This classic race takes on the unholy trinity of hills: Meelbeg, Bearnagh, Meelmore. 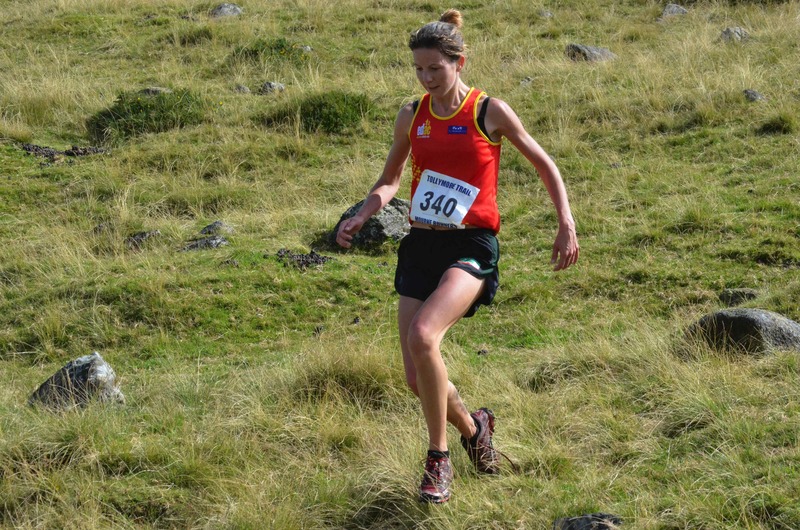 In the short distance of four miles runners encounter every conceivable mountain terrain from grassy peaty climbs and descents to technical rocky paths and steep vertigo inducing boulder strewn descents. On the start line you always think to yourself, today, we’ll just take it easy up Meelbeg. No need to go into the red on that long ascent. 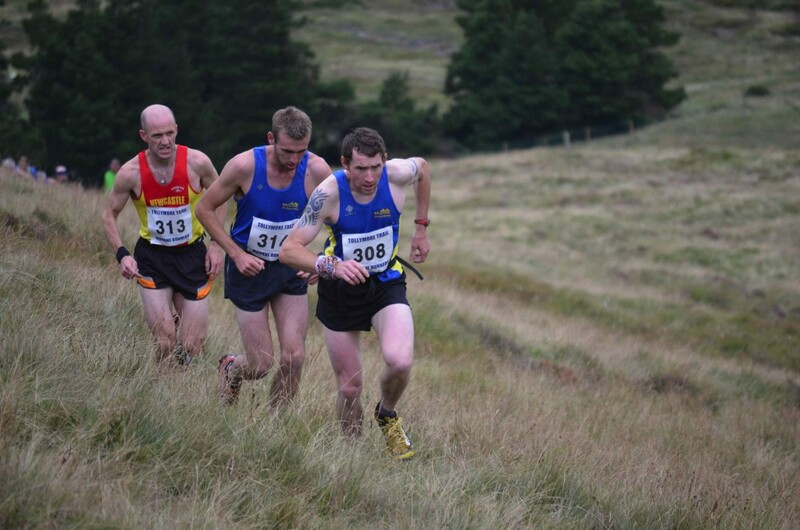 Needless to say, true to form, the race took off like a runaway train with Sam Herron (Mourne Runners), David Steele (Newcastle AC), and Willy McKee (Mourne Runners) setting the pace in the men’s race. In the ladies race Diane Wilson (Dromore AC) was being pushed by Catherine O’Connor (East Down AC). 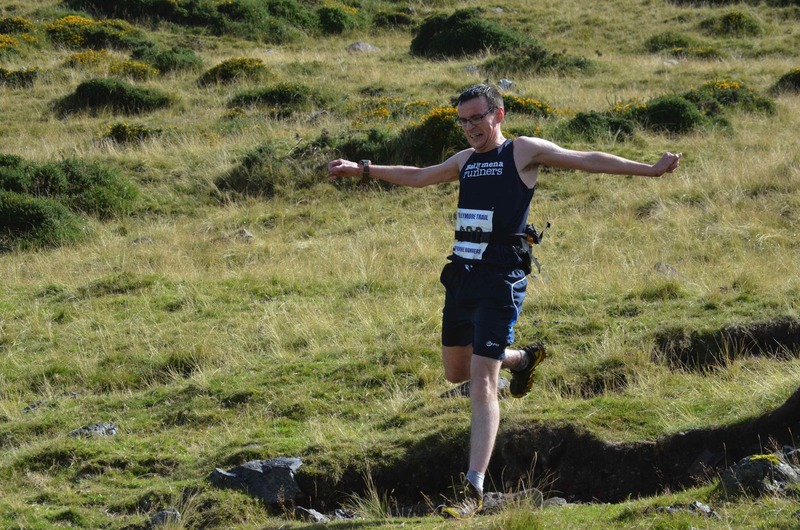 At the top of Meelbeg there was nothing separating the front runners. It remained this way on the descent over to the foot of Bearnagh. On Bearnagh Sam, who lately has been doing some super strong climbing, made his move and got a gap on David and Willy. He crested the hill with a good gap on the other two men who were still neck and neck. By the foot of Bearnagh the positions were Sam, Willy and David. Sam still had the gap with the thought of the others stopping him getting his first win driving him up the rocky climb along the wall on Meelmore. The mist was now starting to come down on the hill top but this did not deter any of these three from cresting the hill and finishing in these positions. In the ladies race Diane had a good gap on Catherine from early on; just as well as Mrs Wilson reports that she took a spectacular face plant on the descent of Meelmore; something about paying too much attention to those in front of her and not enough to the task on hand. Let’s hope she is more careful on Ben Nevis. Diane went on to win followed by Catherine O’Connor and Anne Sanford, second and third, respectively. At this point I would like to make a special mention of the Ballymena team. As always a strong group arrived in the team car including Alec ‘has won two races this week already’ Brennan and Emmet ‘never gets lost’ McAllister. Always a confident bunch who never make excuses it was surprising to hear Connor Reid laying the foundations for a slow run as he had been playing the exhausting game of darts the night before. I am told they ‘run everywhere’ and that certainly held true today. Firstly Connor tried to climb up Slieve Loughshannagh instead of Bearnagh, then Emmet went into the mist on Meelmore and ran down the wrong side of the ridge, whilst somewhere behind their buddy Stephen Purvis got lost, had a fall and hurt his ankle – get well soon Stephen. A special thanks to the ladies and gents who put on a great spread of food at the finish, marshalled on the hills and looked after the guests. Results and photos to follow.